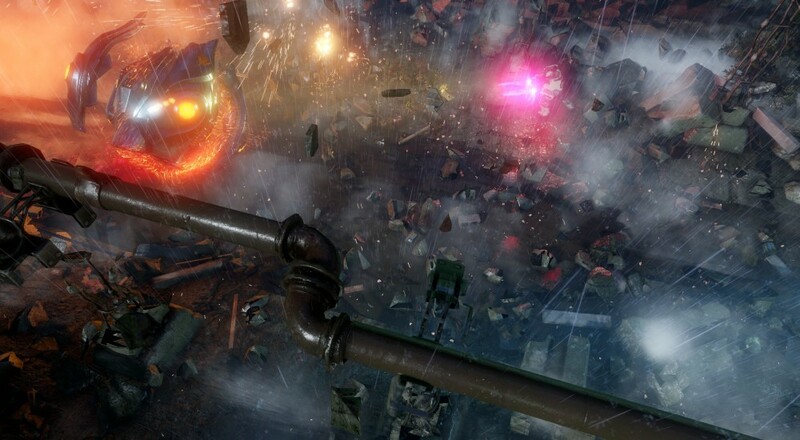 Housemarque's newest co-op shooter, Alienation, hits the PSN Store next Tuesday. To get you pumped for all of the aliens and explosions and exploding aliens you'll no doubt be witnessing, the developer's put together a little video discussing their history and a little of their design philosophy when it comes to making fantastic detonations. Along with the video (featured below), Housemarque put up a post on the European PlayStation Blog detailing the weapon upgrade system in Alienation, which is its "metagame." Much of that game seems to entail getting better loot to make numbers go up, but it also sounds like the developer wants players to put some thought into the guns they use and develop one that best fits the way they run and gun. Essentially, players will be able to loot guns and cores. The cores come in four different flavors, and each core can be upgraded five times to unlock new effects. Mix and match the cores to produce a gun that does exactly what you want a gun to do, like shoot lightning or make a bunch of explosions. Alienation will support four play online campaign co-op when it launches next week. If you pre-order the game, you'll also get an Alienation Dynamic Theme for your PlayStation 4.